We offer a full service for rug cleaning in Chicago on prices that cannot be compared with anything that is available on the market today. Our cleaners, who are all fully licensed and trained professionals, are going to better your carpet cleaning experience, remove all dirt, stains and general signs of the passage of time. They are going to provide you with everything you need and more. 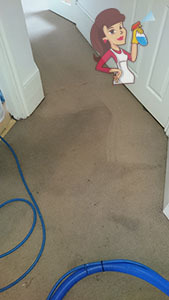 Carpet sanitation is a serious business and that is exactly how our Chicago rug cleaners approach it. They operate with the latest equipment, steam cleaning machines and natural, eco-friendly products. We can carry out general carpet maintenance as well as emergency sessions, like when there is a really nasty spill to be removed from your carpets. You know that iClean Chicago are the right people to get in touch with. Remember, the best time to remove a stain is immediately after it has occurred, but don’t worry – we have the tools and methods in mind to fight off even stubborn older damage as well. Because that is precisely how good we are indeed. We do carpet cleaning in Chicago using the latest equipment that is currently being employed by the industry. Our machines use the universal power of steam to treat carpet fibers on their deepest levels. The effect is nearly magical – not only dirt, soil and stains are being removed from the rug, but also it has an overall refreshing effect and the life of the surface is being prolonged. So if you want what is best for you, get our rug cleaners to do whatever you have to be done for you. We offer cleaning services of the highest quality, which always live up to the expectations of our clients. We work on a very flexible schedule we manage to tailor entirely in accordance to the individual requirements of the people who hire us. Our rug cleaning services in Chicago come at very competitive prices that are entirely individually estimated according to the size and nature of the job we have been signed up for. Surely, all our methods are considered in accordance to the strict environmental protection regulations and ethics. As we have already mentioned, we use steam cleaning methods when it is possible, and steam is a hundred percent green. When the use of some products is necessary, we make sure that use such that have no dangerous chemicals in their formula – thus ensuring both what is best for yours and your family’s health and the planet. Get in touch today for more details concerning our excellent carpet cleaning in Chicago services, in order to obtain a free estimate and make a reservation. It is as breezy as it sounds. And it is the right thing to do for sure. Our friendly and helpful customer support operators can be reached around the clock both over the phone and via the easy to use online contact form which is to be found on our website. Chicago is one of the largest and most important cities in the US at the current moment. It ranks third in terms of population, first when it comes to airport traffic – thanks to the O’Hare International Airport, and in the top five when we are talking about tourist visitors – both domestic and international. The Windy City, as it is often called, has been home to Nobel Prize winners such as Jane Addams, Subrahmanyan Chandrasekhar, Milton Friedman, George E. Smith and that is on top of hundreds of other famous personalities from all professionals and walks of life imaginable.